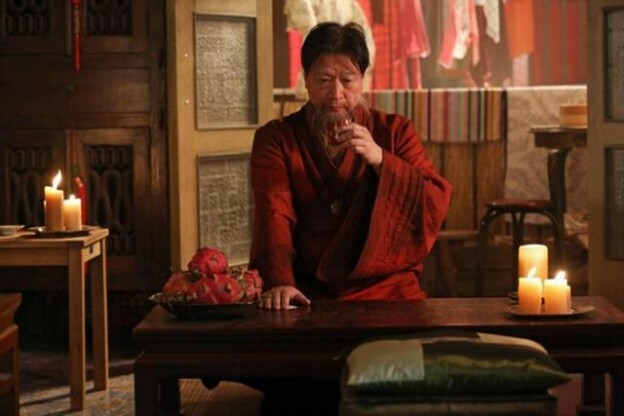 Actor Tzi Ma continues to grow his impressive resume with an exciting week. Tzi starred in the 24: Live Aother Day season finale as the villain and plays the “Zen Master” in USA’s new show Satisfaction which airs July 17. Talking with The Global Dispatch’s Dispatch Radio in a new interview, Tzi discusses both role and the exciting time of having both projects coincide during the same week. Tzi admits he’s mostly recognized for his work in the Rush Hour films, but talks in depth about his great roles in several films such as The Ladykillers, The Whole Truth, The Quiet American and more. He describes the “latitude” of playing the villain and the challenges of playing the more dramatic roles. Tzi says he’d love to return to Once Upon a Time, where he played The Dragon and says he says a spot for more on the character. He also recounts his great experience in Million Dollar Arm, including his real life counterpart Will Chang in an amusing story. So to satisfy the host, Brandon Jones, Tzi reflected on Brandon Lee and co-starring with The Crow star in Rapid Fire back in 1992. This leads to some great discussion on Asian actors and sterotyping that still exists in Hollywood. Some photos are posted below. Check out the full interview below as well. SATISFACTION is a provocative drama that explores modern marriage at its midpoint. Through the lens of one couple, Neil Truman (Matt Passmore, “The Glades”) and his wife, Grace (Stephanie Szostak, “The Devil Wears Prada”), this series answers the question, “What do you do when having it all is not enough?” by delving into their shocking and unconventional choices. Michelle DeShon (“Hollywood Heights”), Katherine LaNasa (“The Campaign”) and Blair Redford (“Switched at Birth”) also star. SATISFACTION is from Universal Cable Productions (UCP) and executive producer/creator Sean Jablonski (SUITS, “Nip Tuck”). Russ Krasnoff (“Community”) of Krasnoff/Foster also serves as executive producer.